Cupid, love songs, heart filled cupcakes and chocolate hearts. 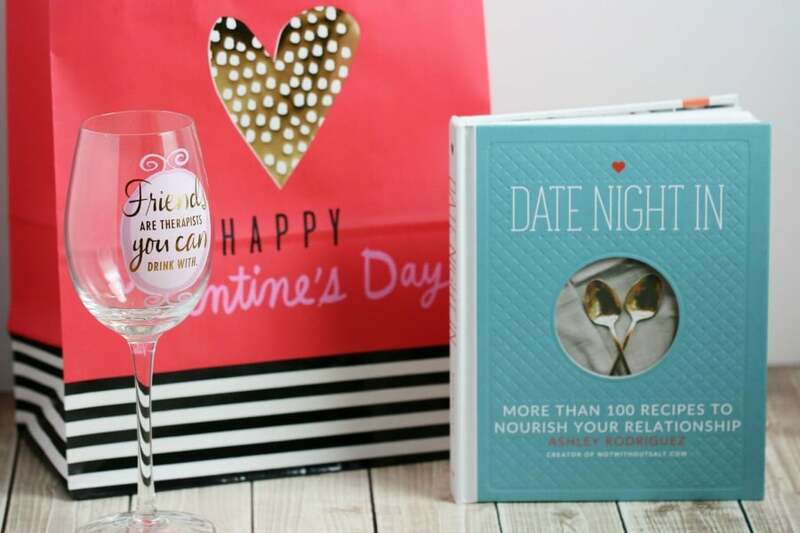 Whether you are in a relationship, looking for one or celebrating family there is so much to celebrate at Valentine’s Day. 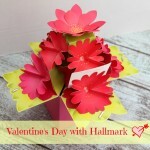 Once February began we headed straight to Hallmark for the best Valentine’s Day gifts, paper, wrap and gifts. We’ve included photos of some of our favorites. 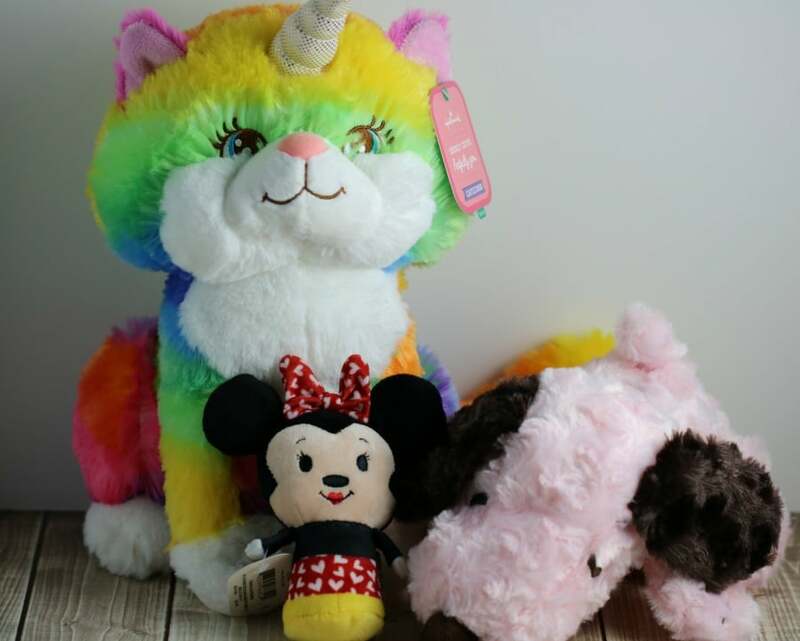 From the super amazing Unicorn Kitty to Snoopy and Minny and Micky Mouse there is a plush gift for everyone. So soft, so cuddly and love the diversity in options – there is definitely one there for your sweetheart! 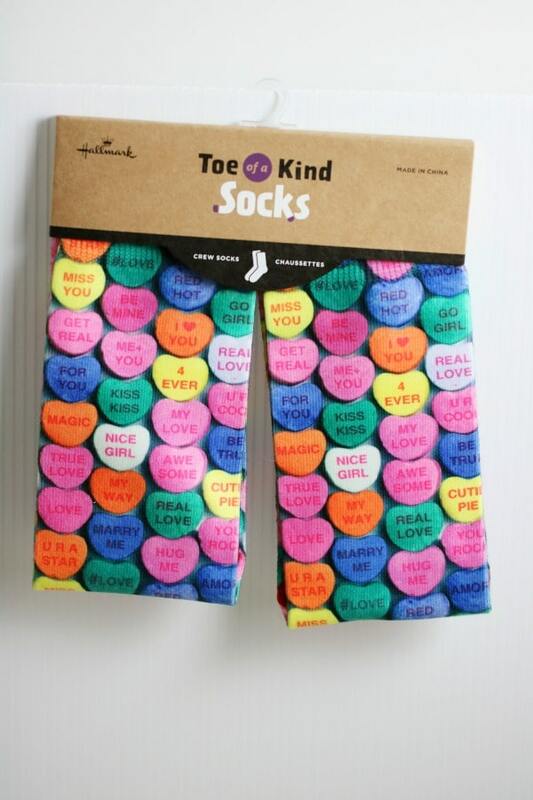 Start all kinds of conversations with these Conversation Heart socks. Super awesome and practical too! 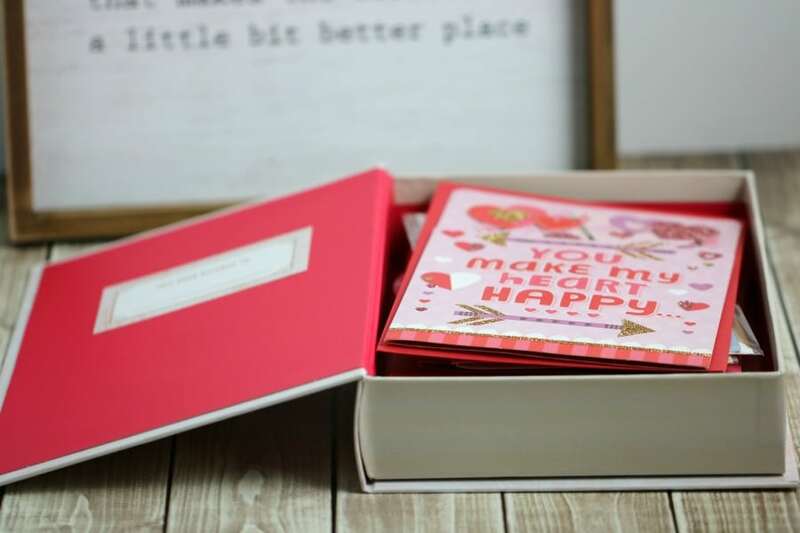 This beautiful box stores all of the cards from your loved one. 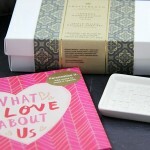 The perfect gift for Valentine’s Day, a wedding shower or anniversary. A great way to keep cards safe and together. 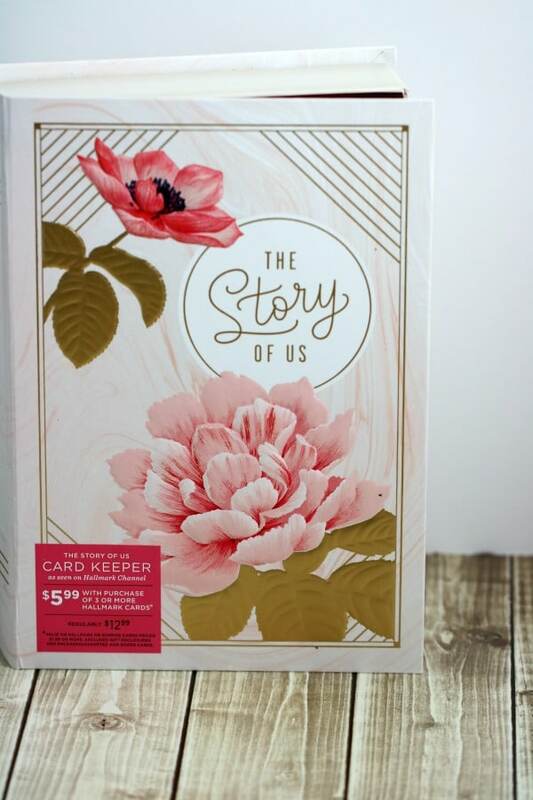 Just love how it keeps so many beautiful cards and memories stored safely. Who could resist this beautiful rustic wooden frame? 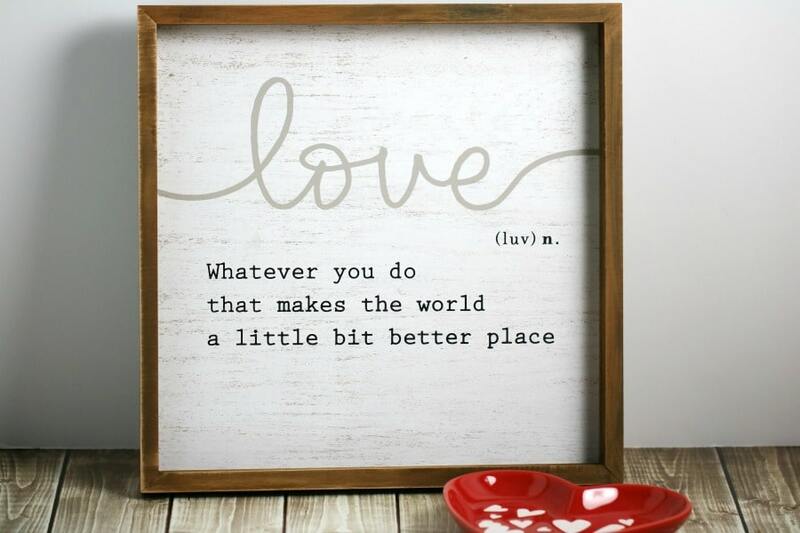 Perfect for any place in the home and reminder of the love that lives there. Combine with a cute heart-shaped dish for a perfect present any time of year. Last but not least some great gift items with beautiful wrap and tissue. With so many gift wrap options you will find just the right one for your love. 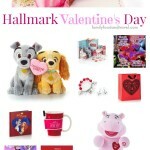 However you are celebrating this year, make sure you pop into Hallmark to pick up all the essentials. 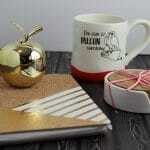 Enter to win a beautiful rustic wooden sign from Hallmark. Open to Canadians 18+ and ends on February 24 at 11:59pm EST. Certainly a sweet way to celebrate. Love the cards and plushes! Hallmark is my preferred brand. The cards always seem to have the perfect words plus all the other amazing products. scrapbooks for my boo! I go for dinner with the family as well. We are celebrating our 45th wedding anniversary this year, so have enjoyed many years of receiving beautiful Hallmark cards, flowers, and going out for dinner to celebrate Valentine’s Day. My favorite gift idea for love in my life is a nice steak and baked potato dinner and we enjoy chocolate with the whole family and we exchange cards . The Unicorn Kitty for my granddaughters. We don’t really celebrate. We buy each other some chocolate to show our appreciation and love! Dinner at home with wine! Hubby and I don’t really celebrate Valentine’s day, but the kiddos get some treats and a small toy. We go for supper. No where fancy, just an excuse to take a break from cooking at home. My hubby will always be thrilled with a nice meal, glass of wine and a Canadian Tire gift card! We don’t really “celebrate” it. I just give lots of extra hugs and kisses to my family. I like to make a home made meal for the love in my life. We do celebrate Valentine’s Day. We usually celebrate Valentine’s day with dinner and a movie.